Are you tired of trying every fad diet and exercise program on the market just to see little or no results? Now, you may think the answer is even more fitness, but I’m here to tell you you’re wrong! There is actually a true science to losing weight, and guess what? It doesn’t involve spending more time at the gym. The answer has to do with what you’re eating. I wish someone had told me this a long time ago, because I used to work out for three hours a day while eating a vegetarian diet (or macrobiotic diet or raw foods diet – I tried those, too), and yet I still kept getting bigger. Nevertheless, I kept thinking if I could only add one more hour to my workout, then the weight would really come off at last. Turns out I was wrong! My weight loss story goes like this: I lost 40 pounds and managed to keep it off for twenty years despite having a serious thyroid problem. At first, I used my thyroid as an excuse, thinking that my body just wasn’t meant to be thin. Then I went to work educating myself about weight loss and discovered the truth about it. You do have to eat “clean” and you do have to exercise, but there is also a science to losing weight. Most of my clients are shocked to find out that eighty percent of weight loss comes from changing your diet. Bottom line: if you are able to eat clean, the amount of exercise you’ll need to do is minimal. On the other hand, if you think 30 minutes of exercise will cancel out that doughnut you just ate, you need to take another look. It’s not even close: the calories you consume stay with you much longer than that. Let’s start with breakfast. One of the biggest mistakes I see is starting your day with croissants, bagels or muffins. Every one of these is at least 500 calories. Granola and orange juice are also high in sugar and can pack on the pounds as a result. 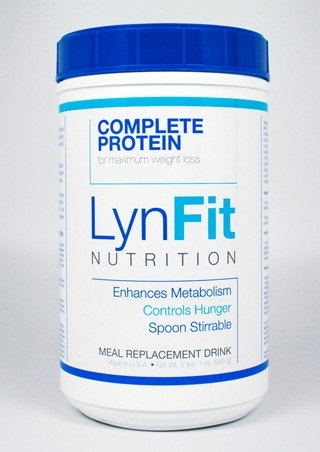 Instead, I suggest people start their day with a LynFit protein shake. I mix my shake with a little coffee – sort of a “Mocha Madness” shake – and then I take my vitamins (LynFit Cutting Edge, LynFit Carb Edge and LynFit Accelerator). This all makes me feel good, meaning I’m less likely to crave high calorie foods instead. Meal number two of the day is what I like to call your “metabolic boost.” Every time you eat this way, you are giving your metabolism a little jolt. Eat a piece of fruit along with a LynFit protein bar. This has 10 grams of fiber in it and all protein with almost no carbs. The next meal is basically a snack that you can also call lunch. I recommend a plate of steamed vegetables along with another protein shake. A couple of hours later, you can have another snack. Many of you may be tempted to have a cup of yogurt or a snack bar made with soy – both of which are not good for weight loss. Once again, I recommend having a protein shake, as it will boost your metabolism by 25%. As we approach dinnertime, let’s take a look at what we might have. You’ll notice there is no bread and no pasta. Instead, I recommend chicken and broccoli, which is one of my favorites. And I’ll put marinara sauce on top, which makes it more delicious. If you want to have a salad, you could use tuna or shrimp and a lot of greens so that you get your vegetables in. There’s also a soup you could make, and the one I recommend has no starch, just steamed vegetables and tomato soup broth, watered down and low sodium. Popcorn with no butter and salt is a great snack food. 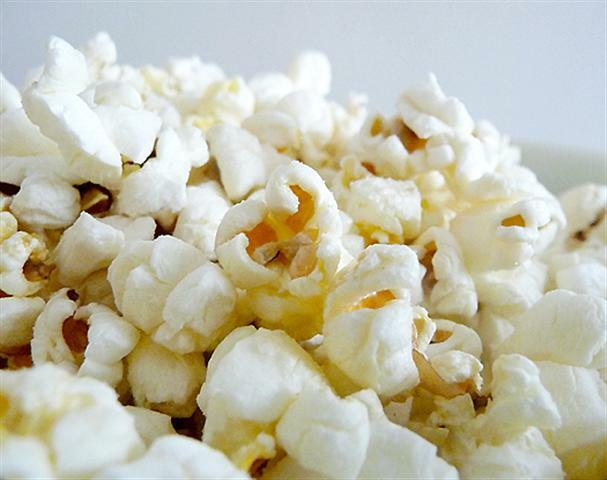 Low in calories and lots of volume to fill you up. Contrast this with eating a pint of regular ice cream, which is equal in calories to almost everything else you’ve eaten today so far if you follow the plan above. That’s why you have to “know your calorie numbers,” so that you can eat smart. The science of weight loss really isn’t that hard, as long as you are honest with yourself about what you are really eating. Learn more about my metabolic boosting system on my website. Check out the before and after photos of my clients! If you purchase LynFIT fitness and nutrition products, please use discount code BLOG2 as my way of saying THANK YOU! Lisa Lynn is a fitness expert and a specialist in weight loss and metabolic disorders. Lisa’s approach to weight loss is based on personal experience, and her dedicated study of the metabolic effects of food, specific exercises and the smart use of supplements. Lisa is always available to help you become the fittest, healthiest person you can be, as well as for lectures and training. Visit Lisa’s website, lynfit.com, for information about her LynFIT Program, her great fitness and nutrition products, and much more. Juice Cleanse for Detox? Do It the RIGHT Way! Meal Replacement Shakes: Drink Yourself Thin! Simple activities like raking leaves or washing the car can improve your health and burn calories at the same time!